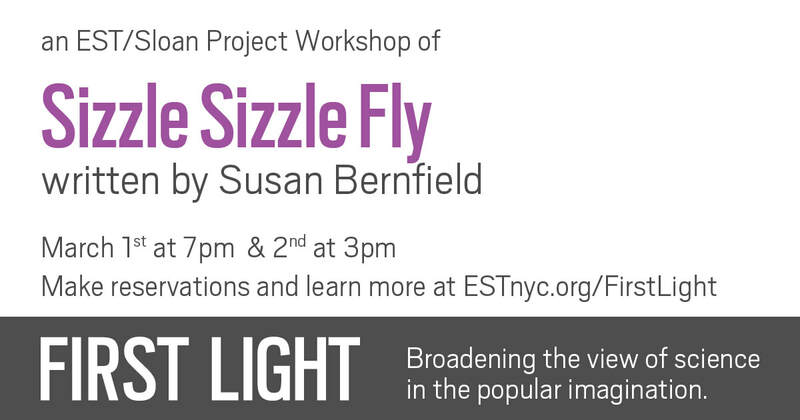 SIZZLE SIZZLE FLY returns to First Light at EST with two workshop presentations directed by Linsay Firman: March 1 at 7 and March 2 at 3. It's upstairs, and space is limited, RSVP here! Meanwhile, been thinking STRETCH (a fantastia) could use a reboot... why? Space sounds. This summer, I was so excited to received a Rewrite Commission from EST/Sloan Project to continue work on my 2015-16 Sloan play SIZZLE SIZZLE FLY -- this time a co-commission with sound designer Kate Marvin ([PORTO]). Sound cues are just about as prevalent in the text as dialogue and just as important, and the Project adventurously thought that digging in and exploring soundscape would be the logical next step for the play -- we agree and are getting to work! I AND J return. David Winitsky of the Jewish Plays Project asked me to update the short Ivanka/Jared play (see below) they commissioned last year -- so I brought it right up to early June (stuff kept happening!! ), which is when they presented it as part of "a night of female resistance comedy," where it was the only play among comics, holding its own thanks to the amazing Molly Griggs, Charles Socarides, Brian Demar Jones and Pirronne Yousefzadeh. "Absurd times call for absurd playwriting," Tablet wrote about it, "look into the inner lives of the most high-profile Jewish couple in the country, and in this interpretation, the void stares back." Read more. THANK YOU for your support of The Pool's November/December production of TANIA IN THE GETAWAY VAN, it was such a lovely run and a thrill to hear your response! Read more about it here. TANIA IN THE GETAWAY VAN starts rehearsals Tuesday October 16! Directed by Portia Krieger with an incredible cast: Annie McNamara, Caitlin Morris, Courtney G. Williams and Madeline Wise. TANIA is 1/3 of The Pool, a pop-up theater company, with three plays happening in rep. So the schedule is a little wonky and I've put it below. You can buy tickets now, right here! I'm writing a play for the Jewish Play Project's Ma Nishta Nah Plays, their first commissioning project, to be produced in June. Dramaturg Miriam Weiner wanted a play about Jared and Ivanka, and boy, she's getting it! In the awesome company of friends MJ Kaufman, Sarah Gancher, Abby Katz, Pirronne Yousefzadeh and more. More soon! 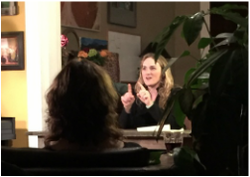 Read this swell post on the EST blog about writing SIZZLE SIZZLE FLY -- a chat held in advance of its first reading, which was in January in EST's First Light Festival, directed by Lee Sunday Evans. July: Heading to SPACE on Ryder Farm with EST for 4 days of working on Poppy play and whatever else hits me! Wahoo!!! June 17: MY LAST CAR touched down at Robert and Lenora's in Jackson Heights -- adding a 4th borough to an incredible year of performing MY LAST CAR in living rooms (and a kitchen) around the city, 9 shows in all. Now planning next season -- want to host at your place in the fall?? Want to know about upcoming performances? Let me know! a play about taking a swiveling seat, putting on a headset, and bringing the dudes home from the sea. a highly ambivalent new mother. er. woman who's a mother. a solo performance that remembers a world without power steering. ...coming to a living room near you! a play in which Richard Nixon's longtime secretary, Rose Mary Woods, observes the presidential election of 2004 from her swing-state nursing home. a play about a mom caught up, a girl in retreat, power & time. & how we value work. Find me any time at susan@newgeorges.org.